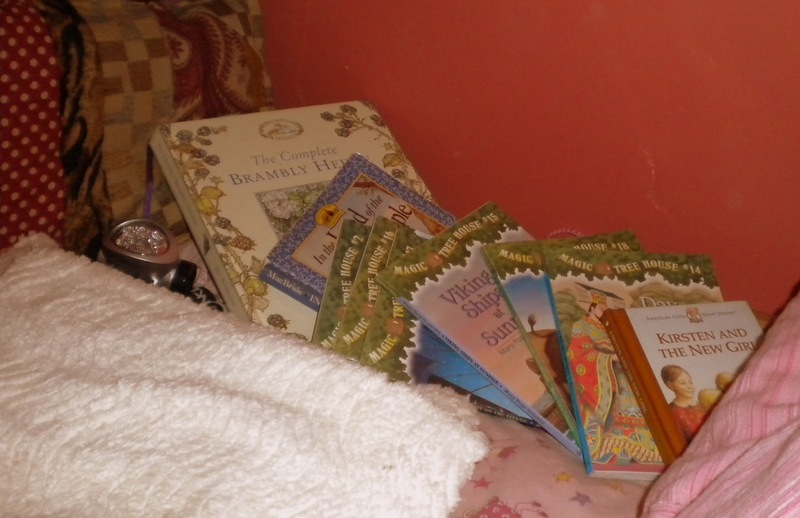 The Complete Brambly Hedge by Jill Barklem for the official Brambly Hedge site click here. The Rose Series: In the Land of the Big Red Apple by Roger Mac Bride to learn more about the man that inherited the Lane/Ingalls-Wilder literary estate, click here. The Magic Tree House Series #2, #14-18 by Mary Pope Osborne for a LOT more, click here. Keep reading Little Sister!! What a lovely collection! !